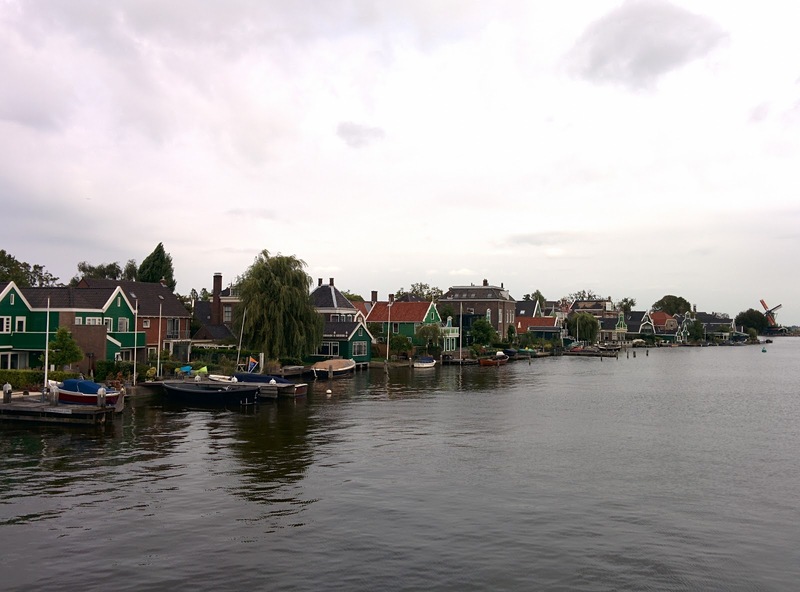 I woke up later than normal, had breakfast at the hotel and began planning my next steps. 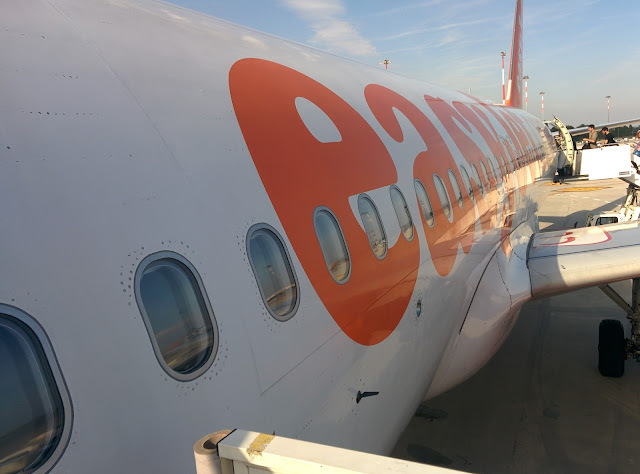 Upon further research on the migration situation in Germany, I discovered that there were no trains going between Venice and Munich for the next few days as the border was closed, and therefore the only way for me to get there was to fly. 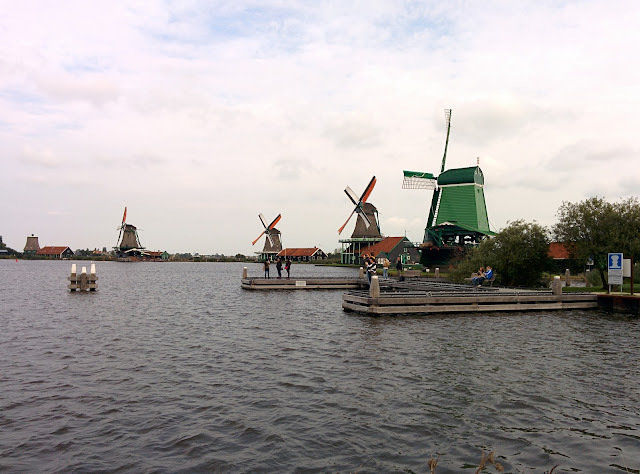 With the issues and disruptions occurring in Germany and with my emergency funds used up due to the unexpected additional cost of accommodation and flight (having already prepaid for my intercity transportation for my whole Europe trip), I decided to skip my trip to Munich and Bacharach and fly straight to my final destination Amsterdam. 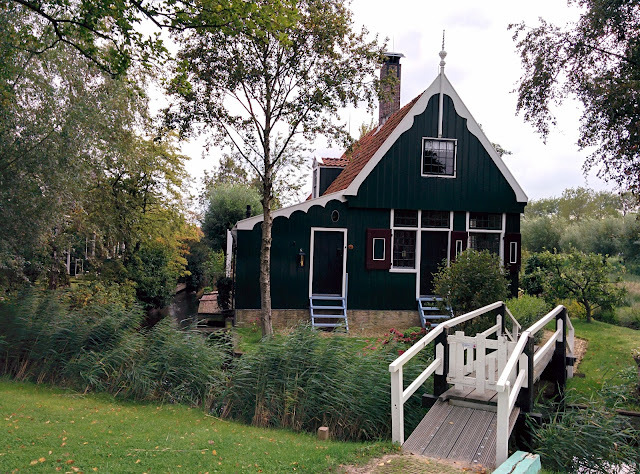 Initially intending to spend 4 days in Germany and 3 days in Amsterdam, my new plan involved relaxing for the remaining 7 days of my trip and explore Amsterdam and the surrounding towns slowly. 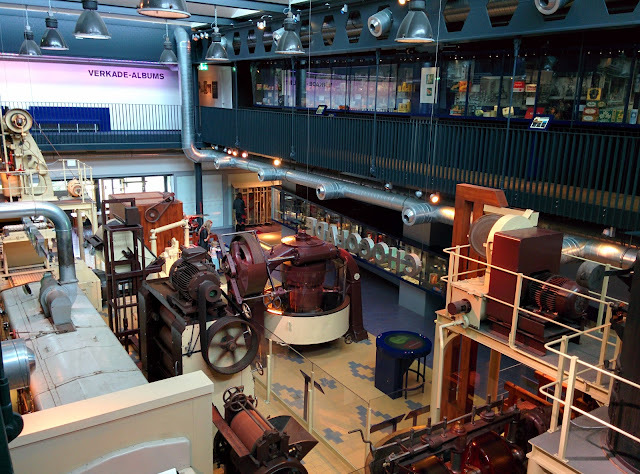 (With this in mind I've decided to consolidate 7 days into two blog posts). Having booked my accommodation for the next four days and my flight with Easyjet to Amsterdam, I checked out and headed to Piazzale Roma to take ACTV Line 5 bus to the airport. 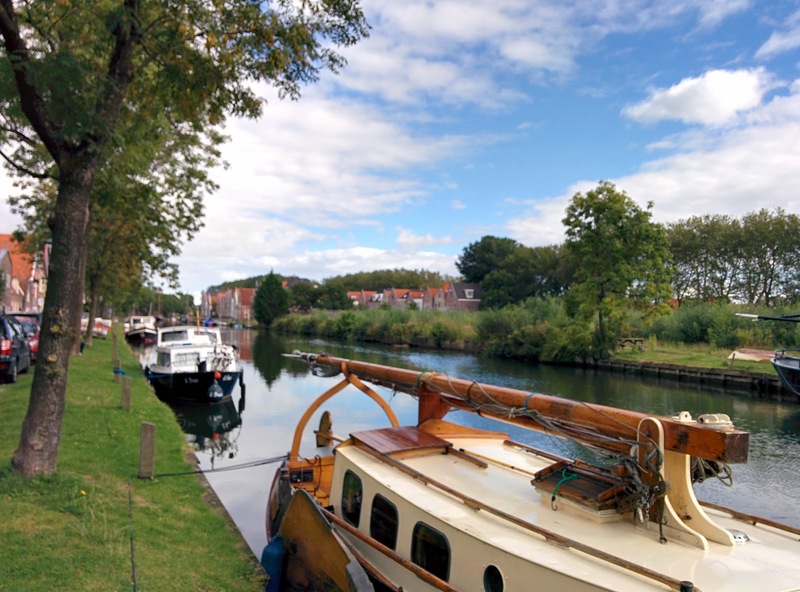 Although there are other ways to get to the Venice Marco Polo airport e.g. train, taking a bus seemed to be the cheapest (8 euro) and most effective option. I had a late lunch in the airport departures terminal and spent the afternoon waiting for my flight. 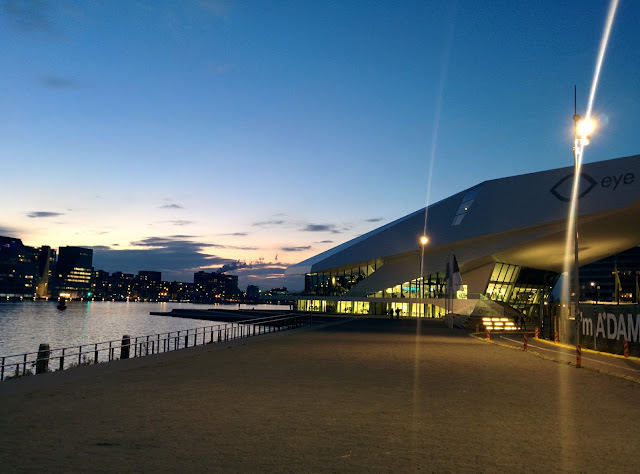 It wasn't until about 7:00 pm before I arrived at Amsterdam Airport. 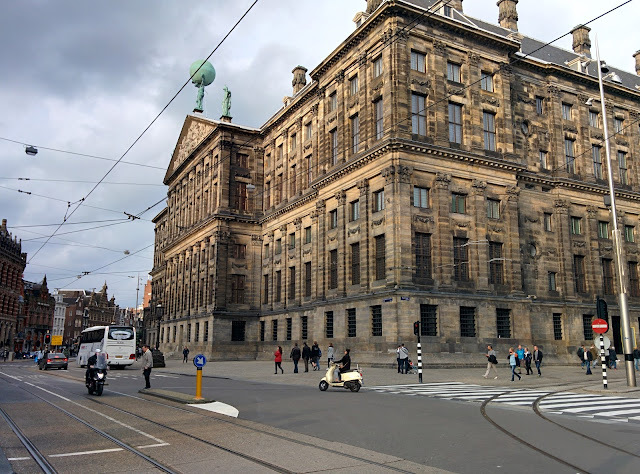 However it didn't take long for me to get out of the airport and on a train to the central Amsterdam Station. From the central station, I bought some groceries for dinner and took the free ferry to Noord where Clink Noord Hostel my accommodation for the next 3 days is situated. Today, I took a day trip to visit and get a taste of the dutch countryside aka the Waterland region, of which I'll be visiting the towns of Volendam, Marken and Edam. 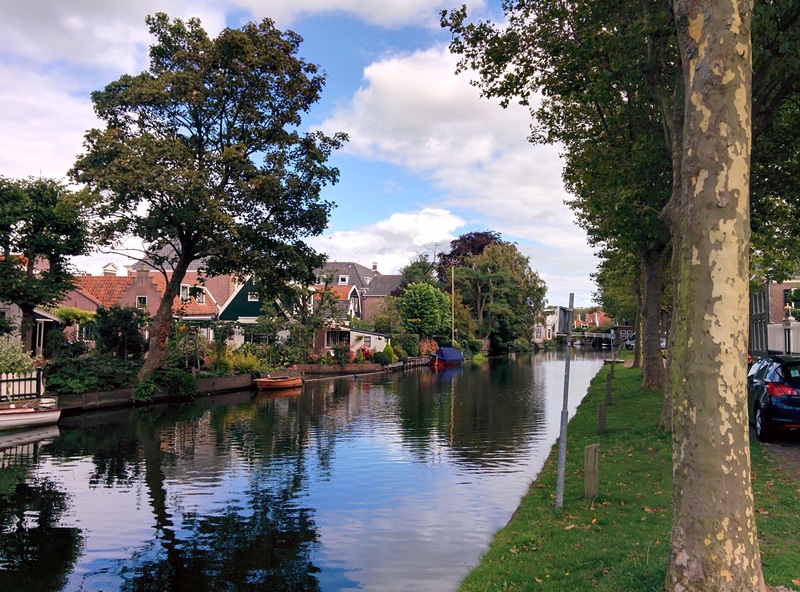 A 10 Euro day ticket gets you unlimited travel on the EBS bus between the city of Amsterdam and the towns within the Waterland region. 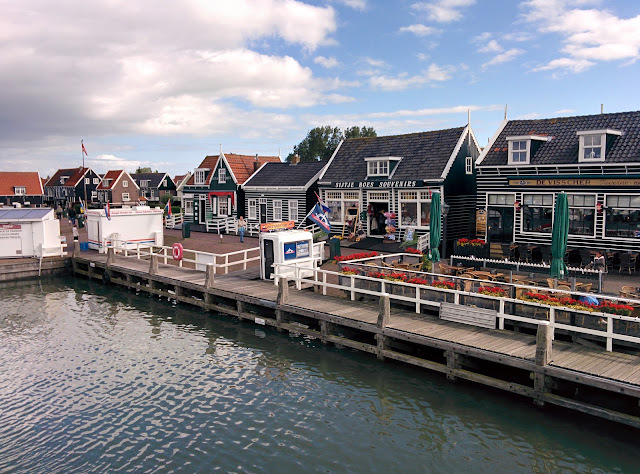 First stop for me is the fishing town of Volendam which was the busiest town of the three and had many shops and tourists. The bus from Amsterdam central station took 30 minutes to get to Volendam, and upon arriving I had brunch at De Lunch Restaurant and chose the Fried Mix Fish from the menu (consists of prawns, calamari, mussels, fish and of course chips). The meal overall tasted good, the service was nice and friendly and at 14.50 Euro wasn't very expensive. 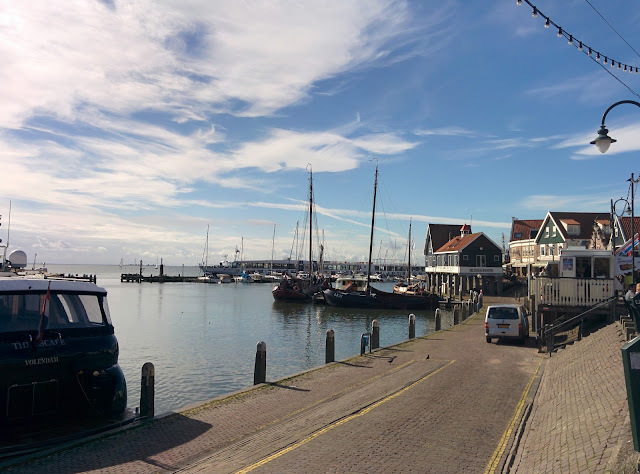 Following lunch, I bought some delicious Dutch mini pancakes ("Poffertjes") from a street stall nearby, had a look around Volendam and booked myself on the Volendam Marken Express. 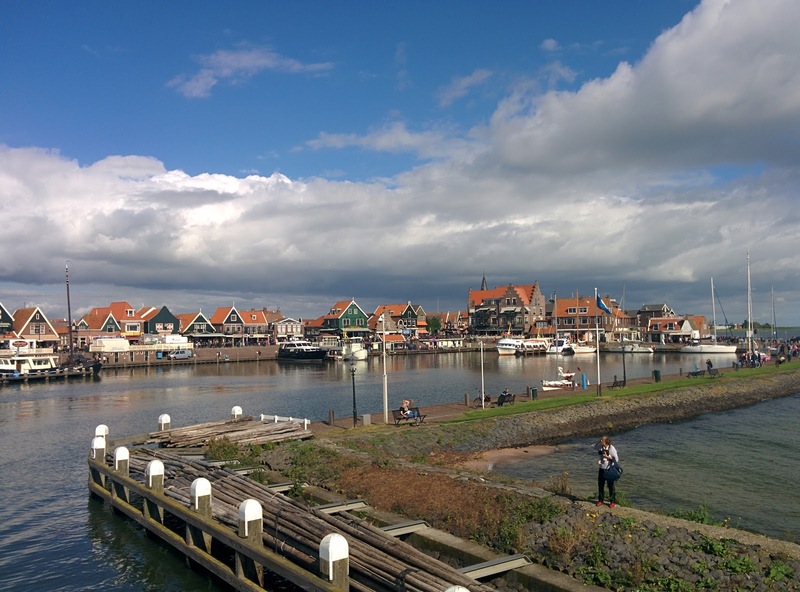 The second stop for today's day trip is the even smaller town of Marken. The Volendam Marken Express ferry took about 30 minutes to sail to Marken and was a great opportunity to walk around the town without being surrounded by a lot of people. 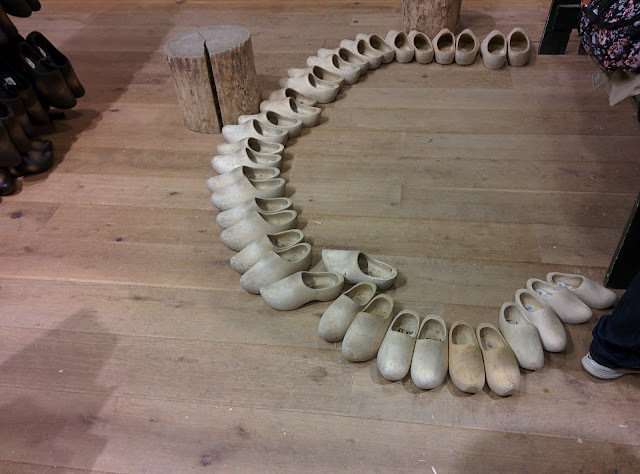 Personally, I think the highlight of Marken is visiting the wooden shoe factory, where if you are lucky you can see someone demonstrating how a wooden shoe is made, and telling stories about how the bridegroom will custom make wooden shoes for the marriage proposal (instead of rings). After a short time exploring Marken, I took the Volendam Marken Express ferry back to Volendam (not before buying a delicious fried fish snack "Kibbeling" from a nearby street stall whilst I waited for the boat to arrive). 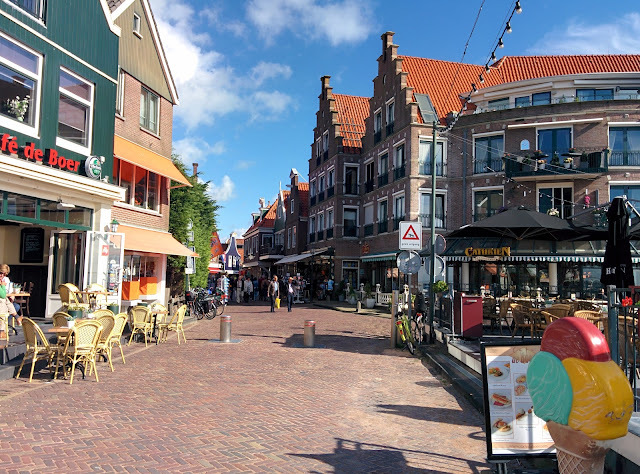 My next and final stop for today is the town of Edam (Yes, this town is the origin of the Edam Cheese) which is a short bus ride from Volendam. 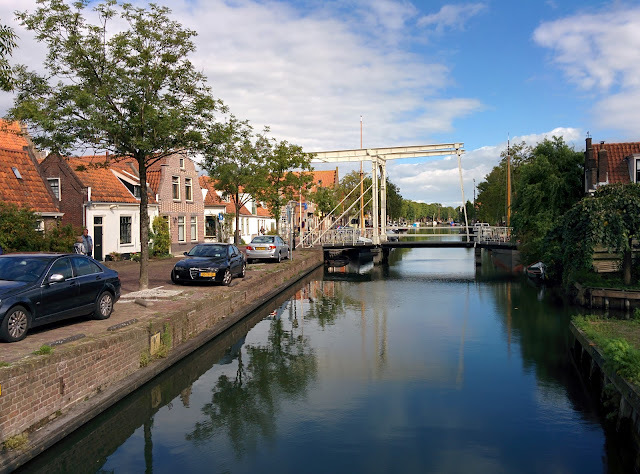 Out of the three towns I feel Edam is the best for walking around provides great scenery whilst being ideal in size and not being crowded by tourists. 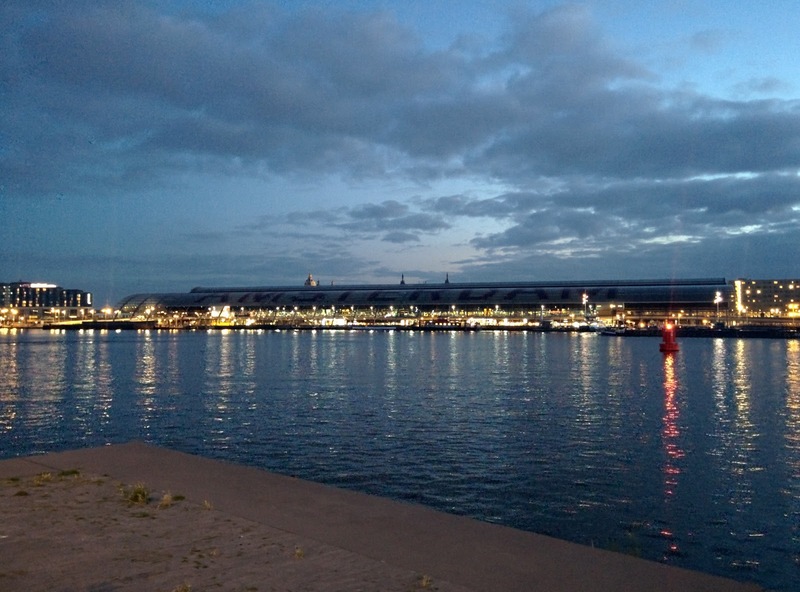 At the Central Station, I brought groceries for dinner and headed back to my hostel on the free ferry. The itinerary for the first half of today is to visit the windmills in Zaanse Schans. 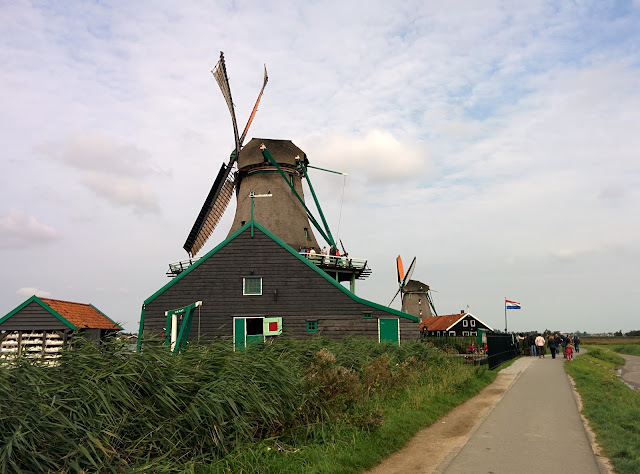 In the morning I took the 20 minute train from Amsterdam Central station to Koog-Zaandijk station and then walked the remaining 15 minute walk to Zaanse Schans. 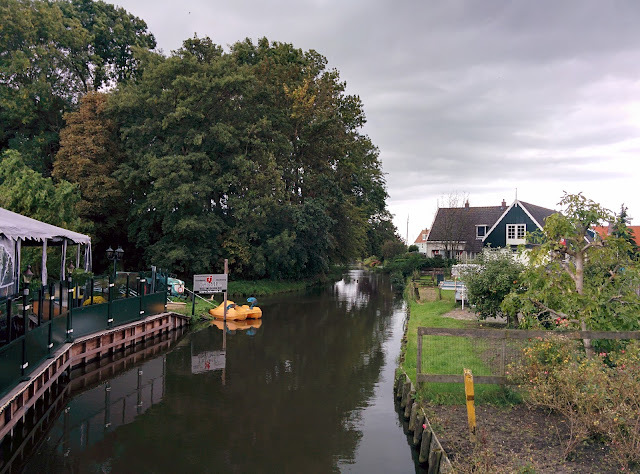 I then had brunch at Restaurant Da Krei and tried their chocolate dutch pancakes (discount included with Zaanse Schans Card but I forgot to use it). The pancake was tasted good, but it wasn't extraordinarily delicious. 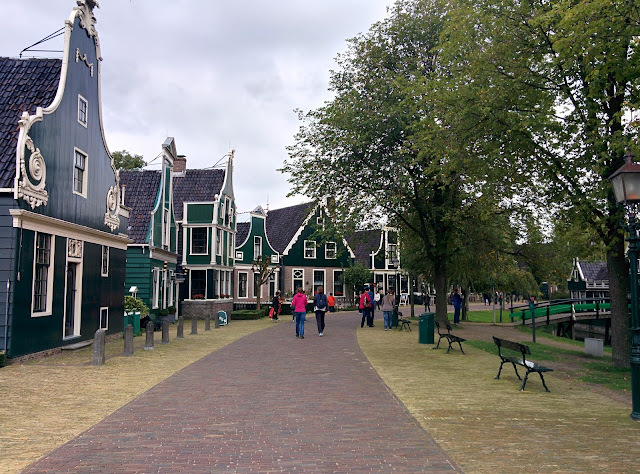 Zaanse Schans has shops, cafes and restaurants. My favorite here was Cacaolab where you can make your own delicious hot or cold chocolate milk (discount with the Zaanse Schans Card). 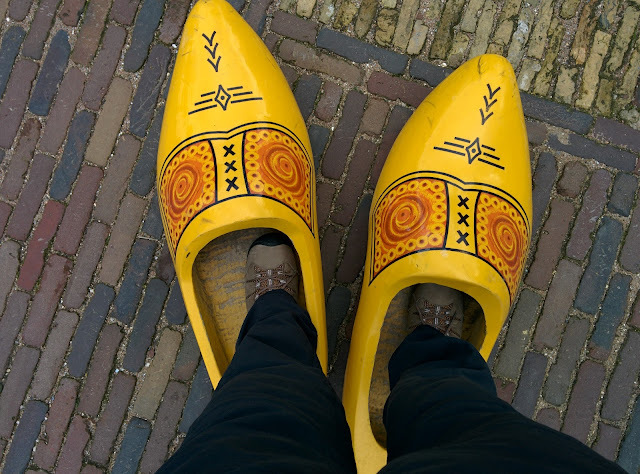 I just can't get over these giant traditional wooden shoes. I wonder how they would feel like to walk around in. Inside a working wooden sawmill. 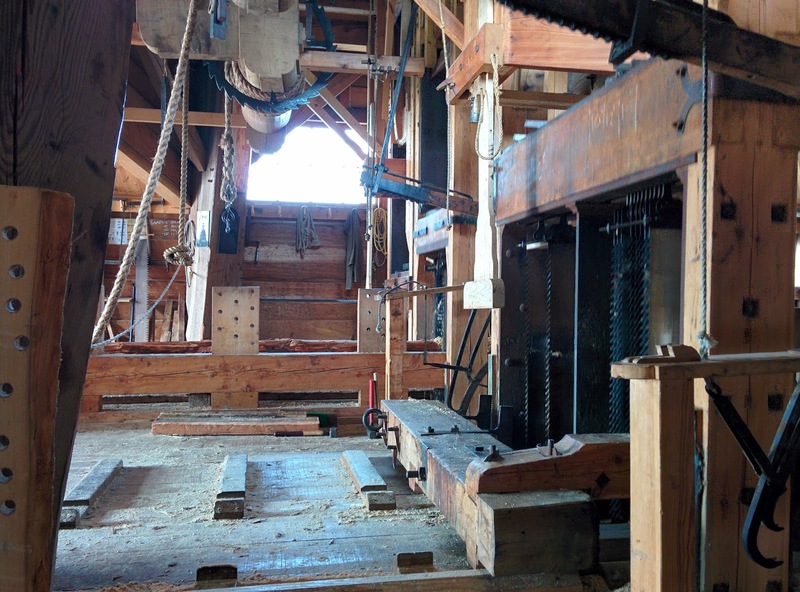 It's amazing to see such an engineering feat in action. 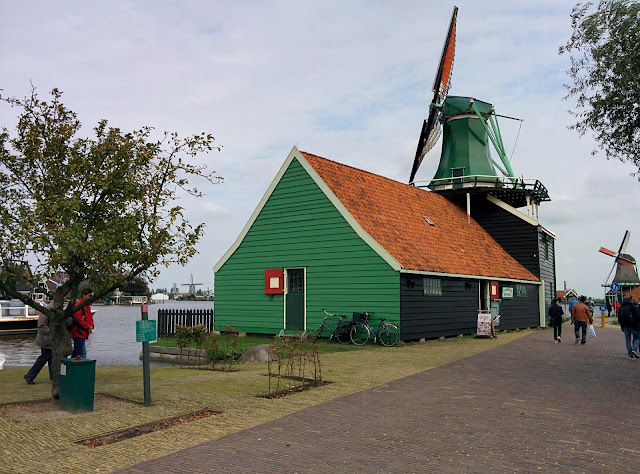 After visiting the windmill and having a look around the town, I visited the Zaanse Schans Museum which was also really interesting and educational. It was fascinating to learn about how the city evolved through the industrial age and the large role it played in Europe's economy. 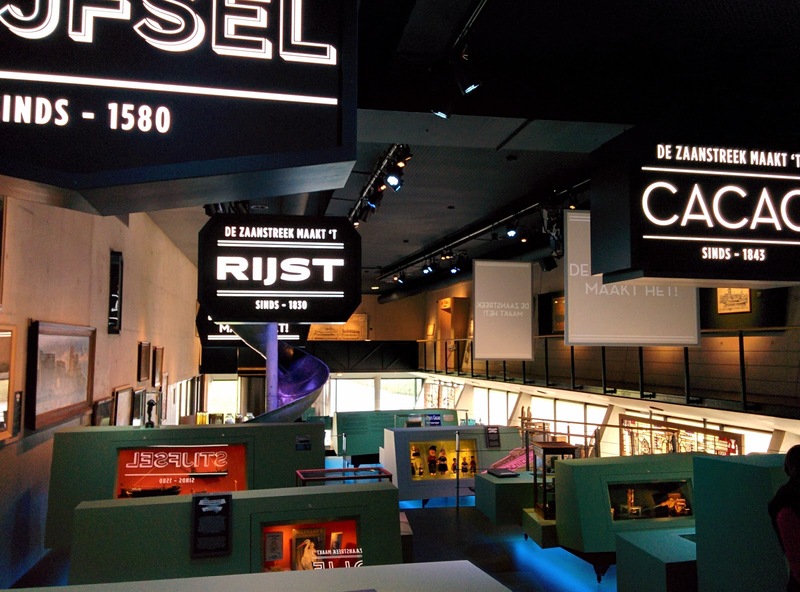 What made the museum really interesting was the way it was laid out, and had a mixture of audio and video that helped you understand the history. As a bonus, the museum also included entry to Verkade Pavilion which shows what a chocolate and biscuit factory was like then. 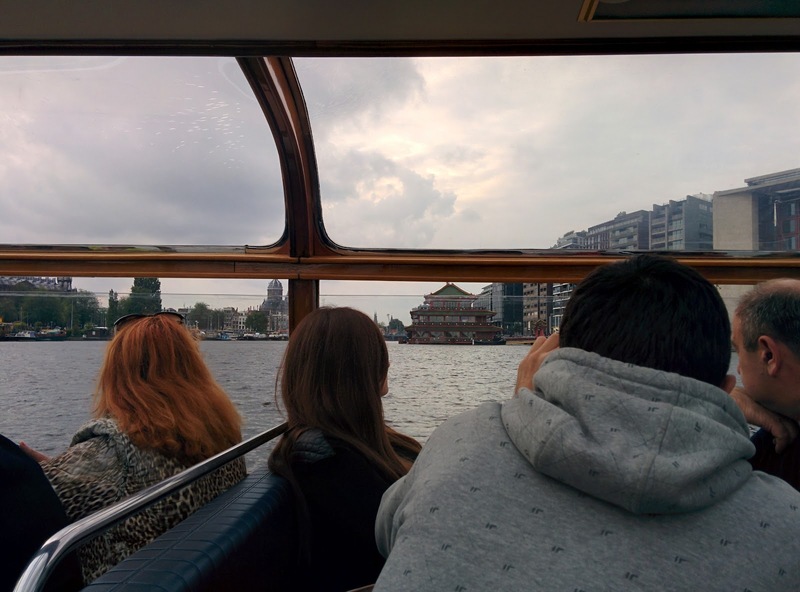 After getting out of the museum, I made my way back to Amsterdam Central to join a 1 hour canal cruise. 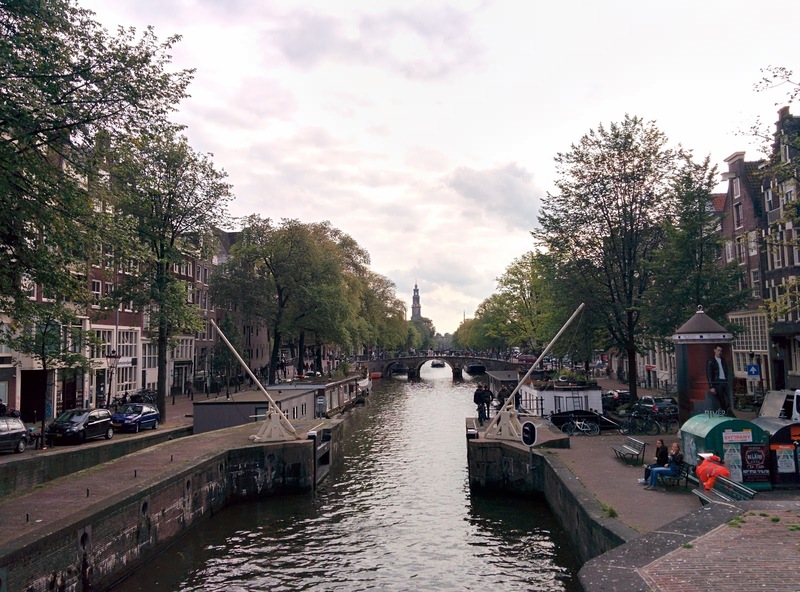 I had a bit of time to spare before the departure time, so I got myself some snacks and explored the streets of Amsterdam on my way to cruise's the departure point. 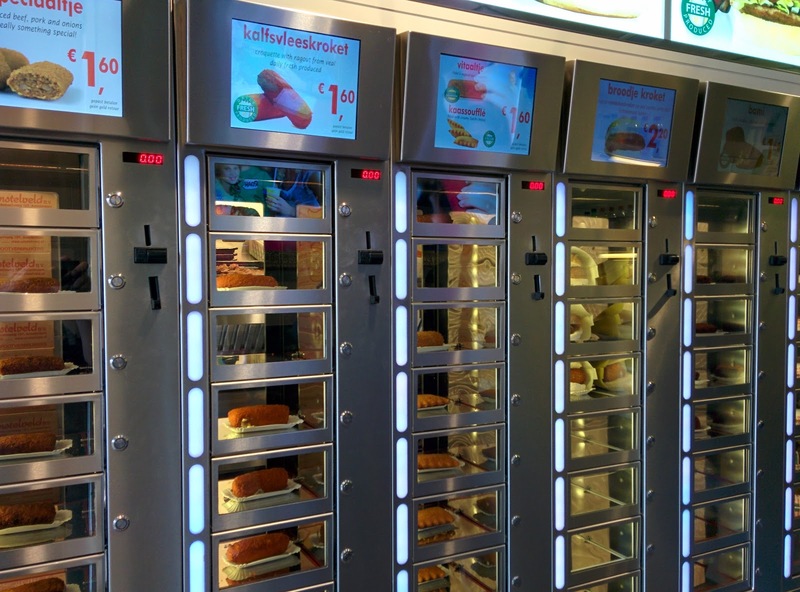 This is the first time I've seen fast food served in a vending machine. I'm not sure why this idea hasn't caught on in more places. Arriving in the pier for the canal cruise, I bought my ticket and boarded the boat. The 1 hour tour of the canal was an interesting experience, with the tour guide providing great insight into Amsterdam and how it came to be. 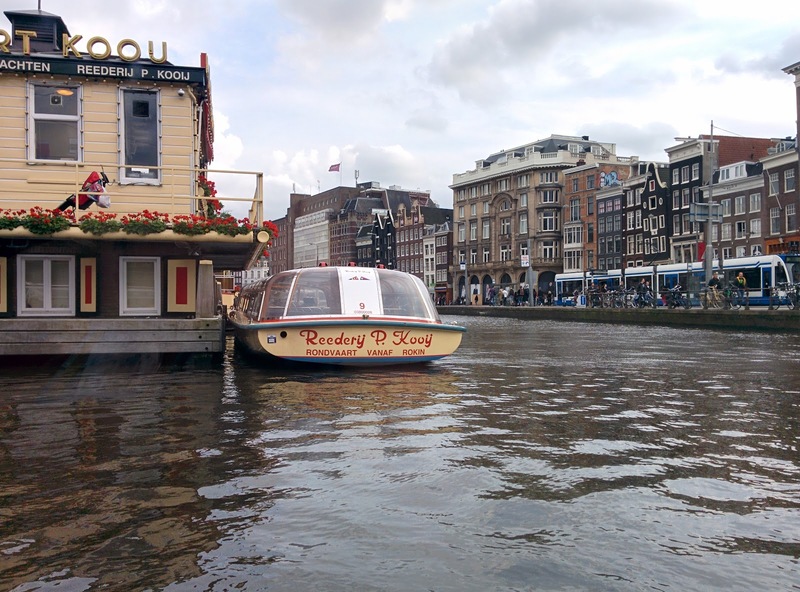 One of the most interesting landmark that I saw was the thinnest house in Amsterdam at just 2 meters. Many of the houses in the streets of Amsterdam are very narrow, which is said to be due to taxes previously being based on the width of a house. After the cruise, I bought some groceries, and headed back to the hostel for an early night. The Problem What if we need to create a form that changes it's behaviour based on the answer entered by the user. In the past InfoPath would have been the tool of choice for many, however this tool is now in maintenance mode and whilst it will still be supported for a wee while there will be no improvements or enhancements to the platform. The Problem In my previous blog post, I wrote a basic tutorial on configuring PowerApps to conditionally show/hide and make mandatory/optional a control based on the answer provided in a previous control. In this blog post we will expand on that scenario to create a form that only shows a control called approval status to a user if that logged in user is the manager of the user specified in the employee control. The Problem One of the things that I've been experimenting with lately is Microsoft Flow. The service allows you to build process automation to facilitate transfer of information from one system to another easily.